The lens in any camera is very important and for car windshield cameras is no different. Most car cameras these days come equipped with both wide and near Field Of View (FOV) lenses for side view action and in-front action so you can capture clearly moving traffic in front of you, including number plates. The Audew windshield camera can record clearly between 1.5 meters and 4.5 meters in front of you. The size of an average car is around 4.8 meters long. The 2.7-inch LCD screen in the Audew windshield camera is a good size to view information at a glance. 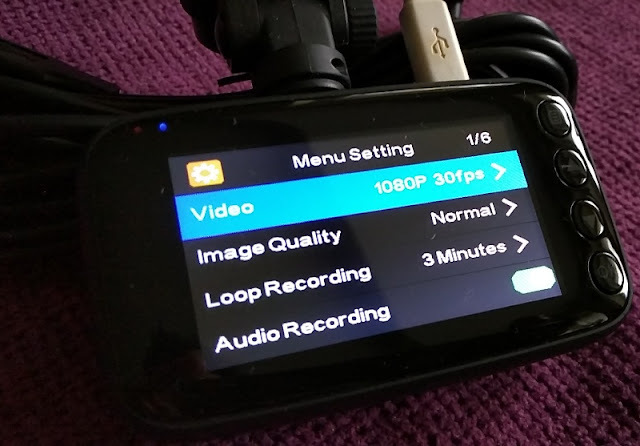 Recording time, resolution ratio, loop recording mode, battery status, WDR, date/ time stamp appear on the screen by default right out of the box. 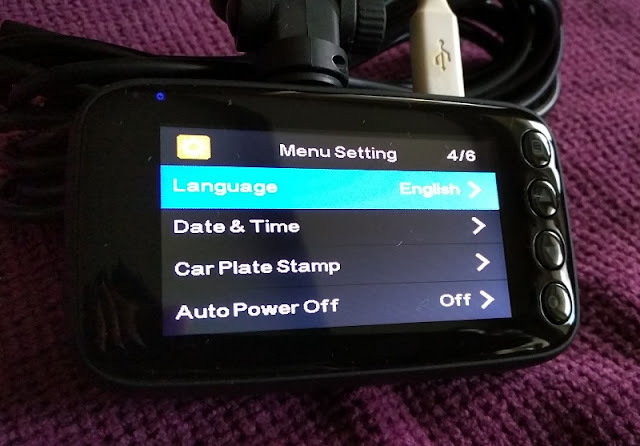 There are four thumb buttons on the right side of the LCD screen to access and navigate through the different menus. The two middle buttons are for UP and DOWN menu navigation. The overall size is 9cm long, 5cm wide and 3cm thick which is a good size for a car front window camera. The weight is 300 grams. 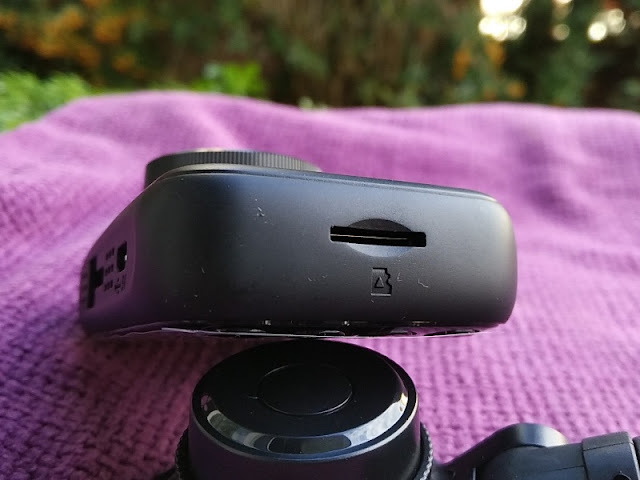 The micro SD card is located on the right side, while on the left side you find the power button and the reset thumb button, which is more user friendly than a pinhole reset button that requires sticking a sharp tip into it. On the bottom of the Audew windshield camera, you find cooling vents and the microphone. 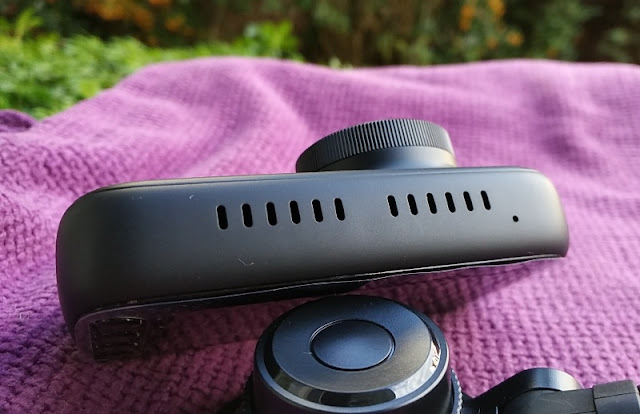 On the top, you find the micro USB charging port, more cooling vents and the suction base socket. 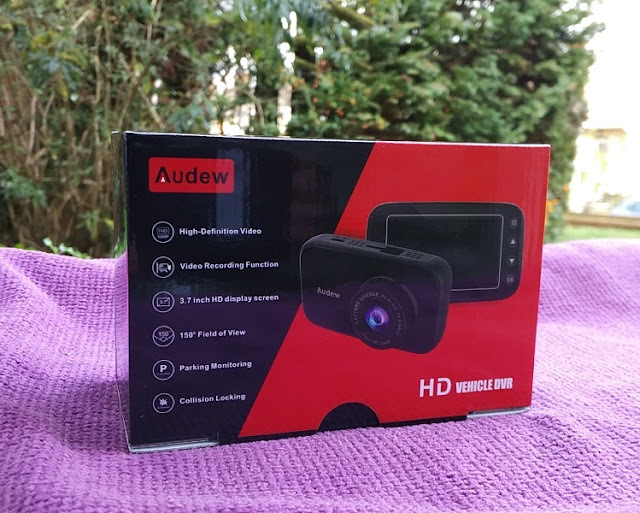 The Audew windshield camera has a maximum resolution of 1080p (at 30fps) which is full HD 2K high definition, a step up from high definition 720p/30fps which the camera can also record at. 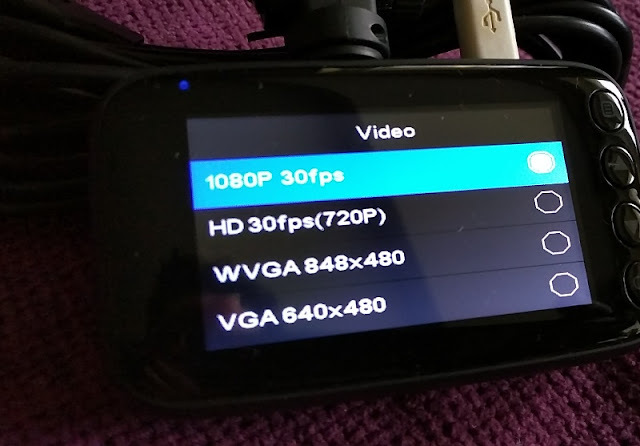 You can record video at even lower quality resolutions, 480p WVGA and 480p VGA, if you don't want to be formatting the micro SD card regularly. 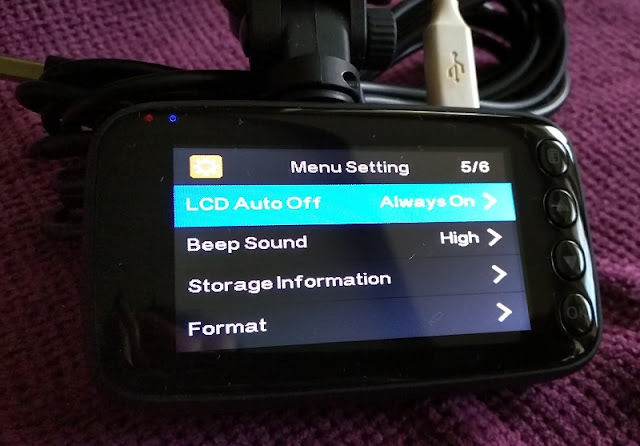 Speaking of micro SD card, you can insert a micro SD card into the Audew car front window camera up to 128GB of size. 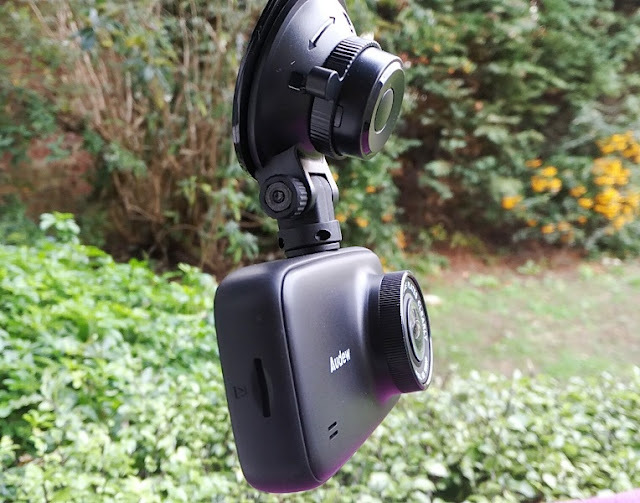 The Audew car front window camera comes with a six-layer lense setup, one of which includes a 170-degree wide angle lens that is wide enough to capture as far as your side mirrors. 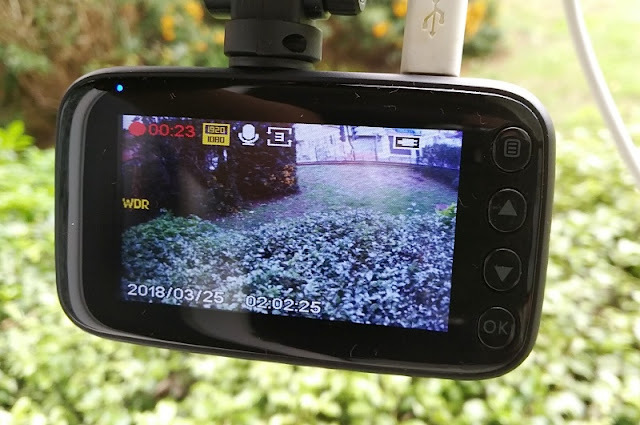 The overall quality of the video recording is good in the day and night thanks to the integration of the Sony IMX 323 CMOS image sensor which features Wide Dynamic Range (WDR) automatic light correction for low light situations to improve the quality of the video. 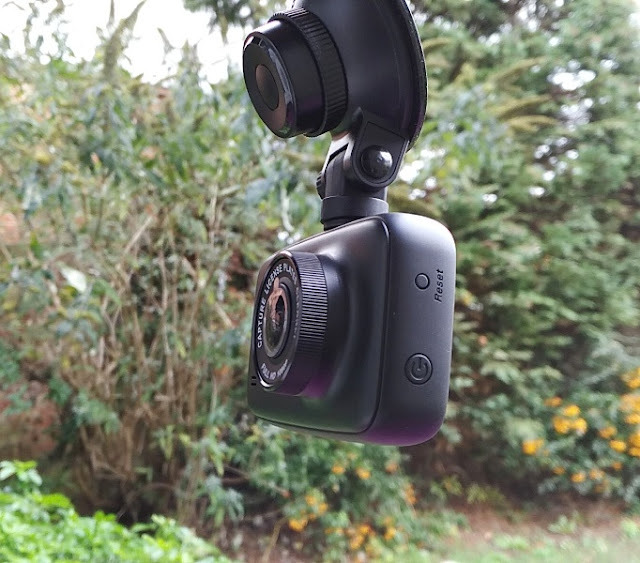 Another feature integrated in the Audew car windshield full HD camera is a G-sensor (accelerometer) which triggers automatic video recording and saving when it senses impact. 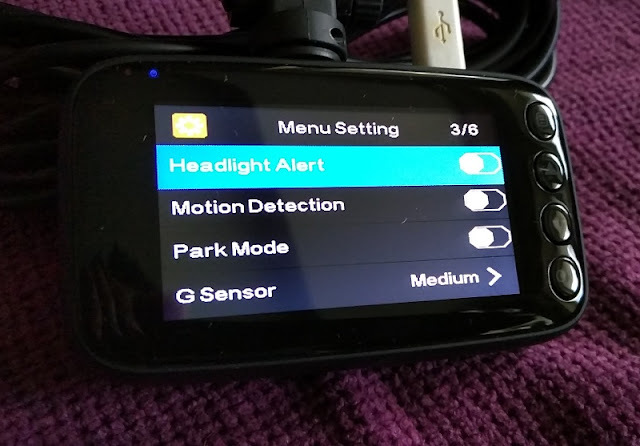 A G-sensor is a very handy feature particularly when you're not in the car and someone crashes or bashes their door into your car by accident or otherwise. 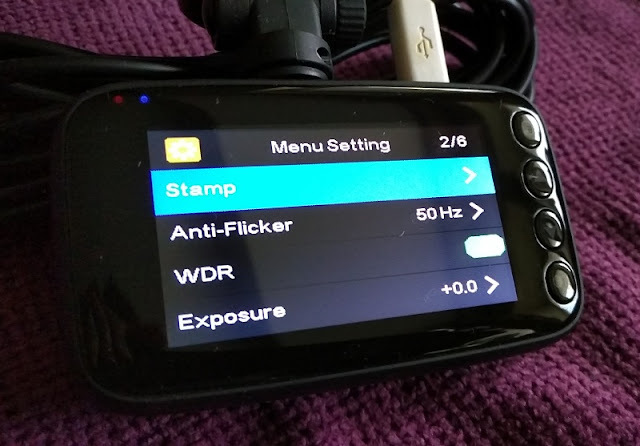 You can set the G-sensor sensitivity to off, low, medium or high sensitivity. 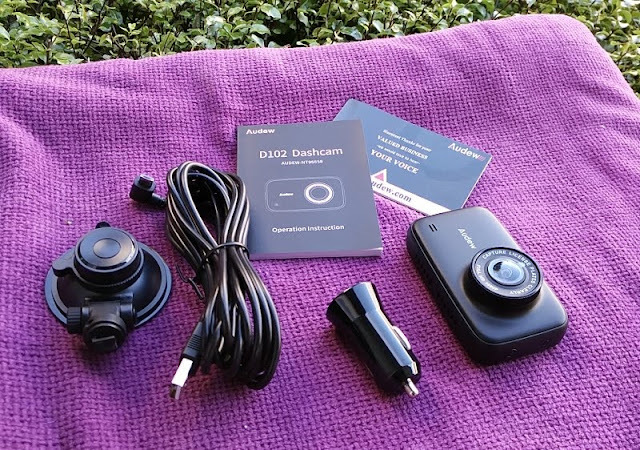 Speaking of the g-sensor, the Audew car windshield full HD camera also comes with a headlight alert mode, motion detection mode and parking mode. Motion detection and parking mode are essentially the same feature which turns your car windshield into a spy eye when you're not around. Depending on how often the camera is triggered during parking mode, the camera's internal 320mAh battery can last 2-3 days. 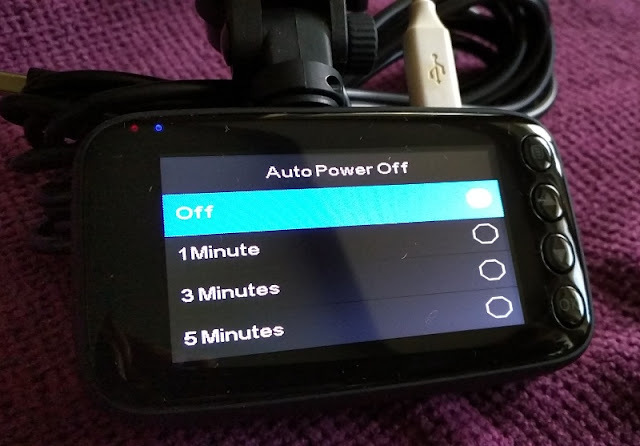 If you plan to use parking mode for longer than 3 days, you need to use a powerbank or hardwire the camera to your car's battery. The reason being is that once you turn off the engine off, all the electrics in the car go off, including the cigarette lighter which powers the camera. 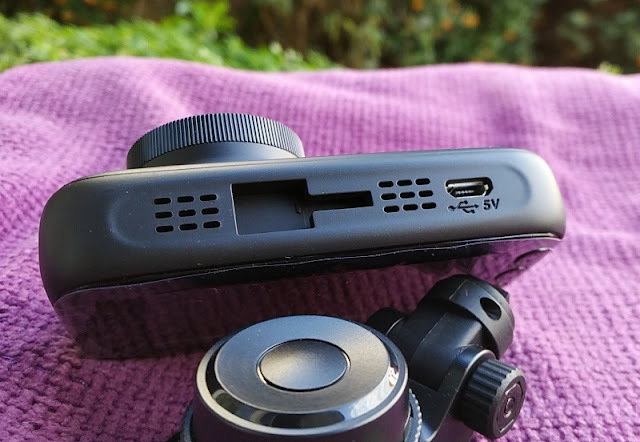 The neat thing about the Audew car camera though is that it's actually powered by 5V/1.5A rather than straight 12V like many others; hence you can plug it into any standard power bank for extra charge. 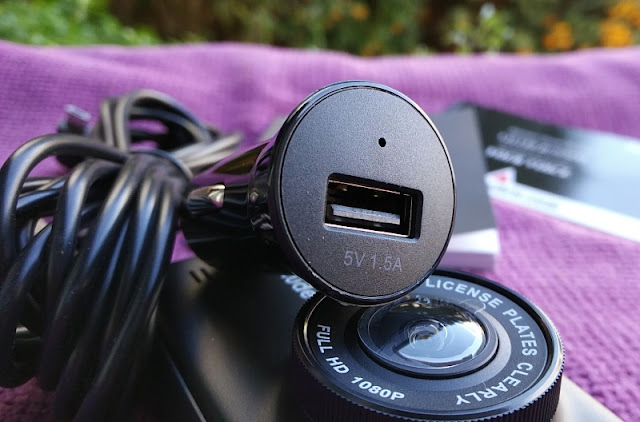 The included 5V USB to 12V cigarette lighter adapter converts the 12V voltage of your car battery to 5V to safely power the camera. 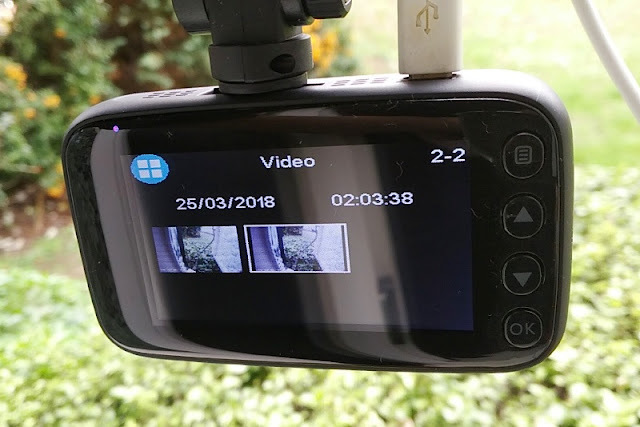 Once recording, the Audew car front window camera records in a seamless loop, meaning it records footage to the micro SD card continuously without interruptions, overwriting the oldest file when the micro SD card is full. 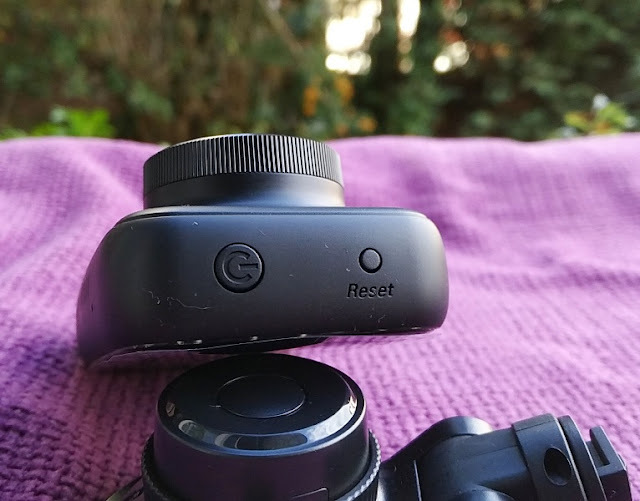 You won't have to worry about the camera not recording parts of an event. 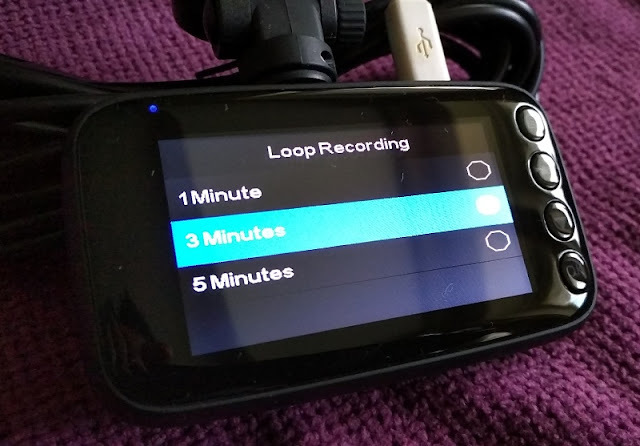 You can loop record footage in 1-minute clips, 3-minute clips or 5-minute clips. 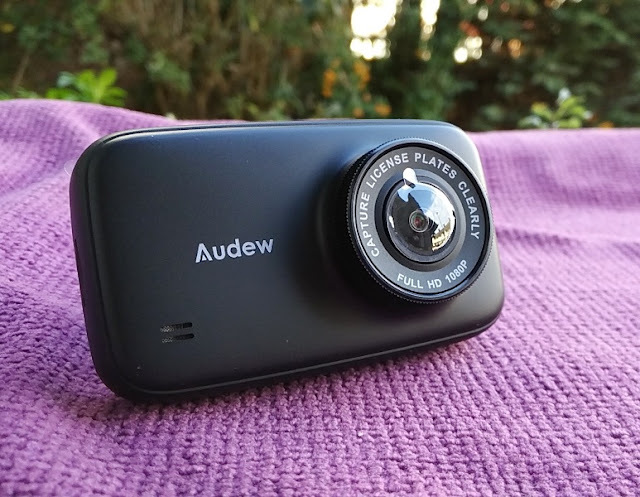 In parking mode, the Audew car front window camera only records footage to the SD card when the camera gets triggered. Parking mode recorded footage gets added to a separate folder to normal driving recorded footage; hence parking mode footage doesn't get overwritten by normal driving footage. 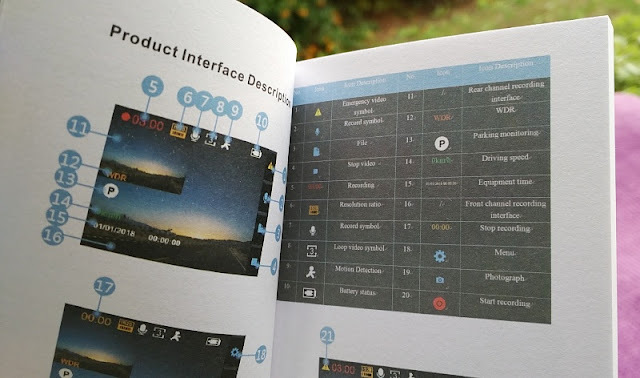 While recording, you can have the date stamp and your car registration show on the footage as well as take pictures with the camera. 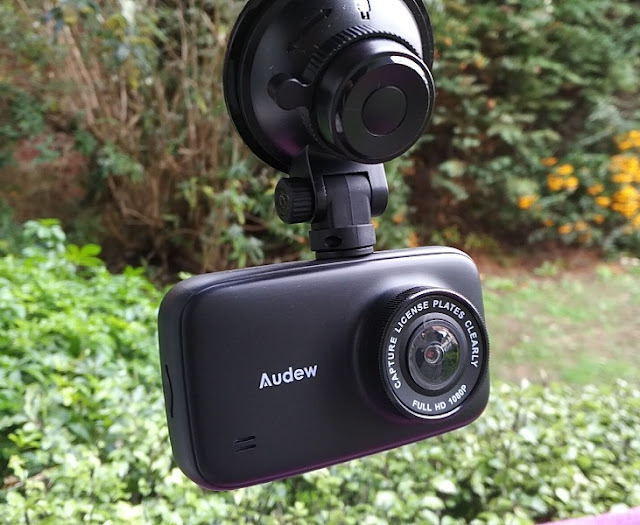 The Audew car windshield full HD camera saves the video recordings to MOV format and the pictures to JPEG. 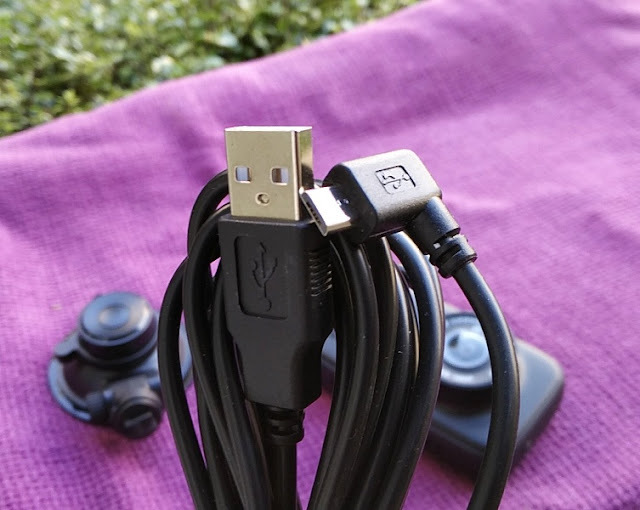 The charging lead cable included is very long and features a standard USB-A connector on one end, and a micro USB right angle connector on the other end.